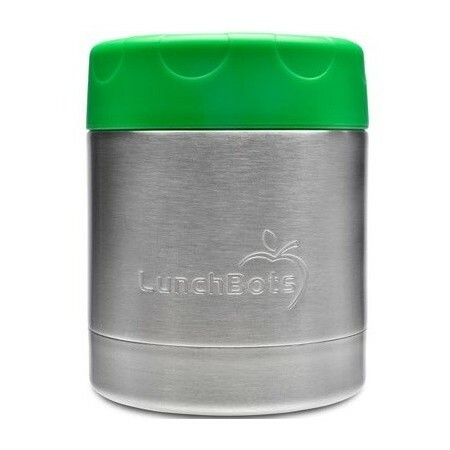 The LunchBots stainless steel insulated food container keeps food hot for 6 hours, or cold for 12 hours. Manufactured from high quality, food grade, 18/8 stainless steel with a leak-proof screw top lid. 100% stainless steel interior (including lid) so no food ever touches plastic. 235ml (8oz) capacity. 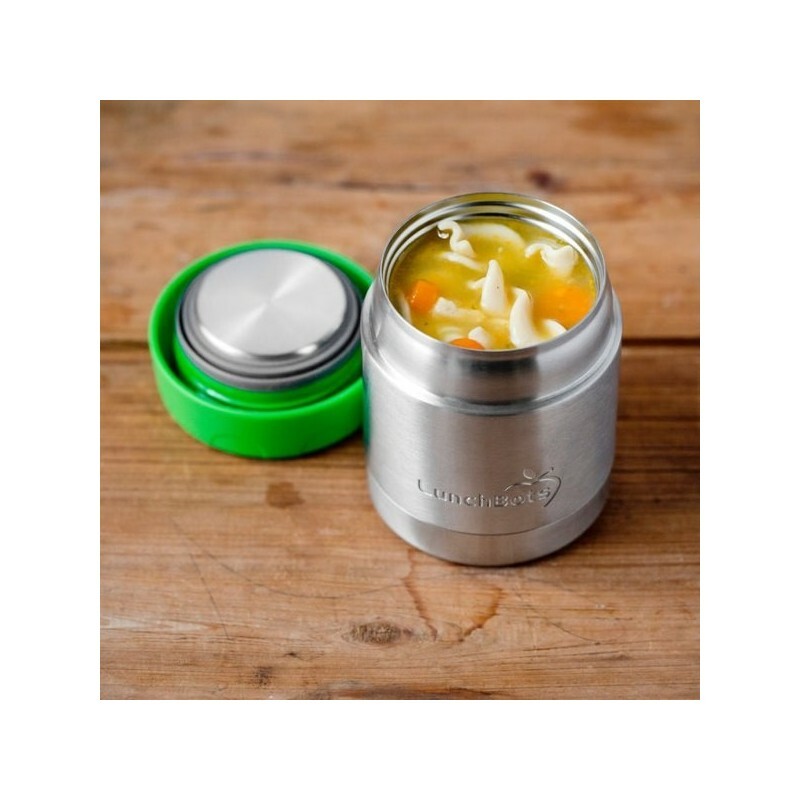 The LunchBots insulated food container keeps contents warm for 5 hours or cold for 10 hours. 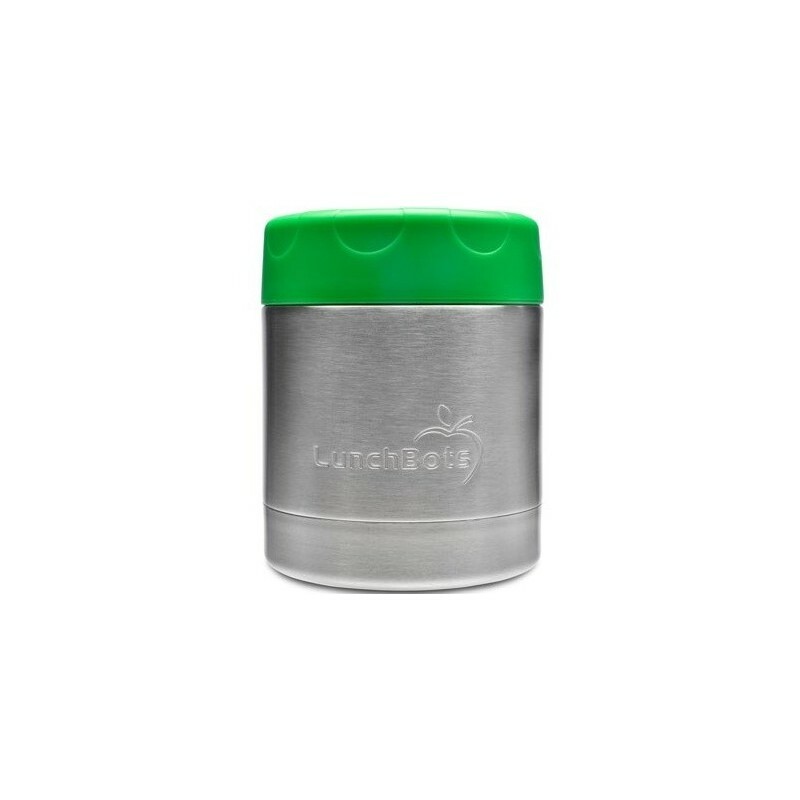 LunchBots lids and containers are manufactured from high quality, food grade, 18/8 stainless steel. Please note: image is guide, grey colour may vary slightly from that pictured. Base and interior made from high quality food-grade 18/8 stainless steel. 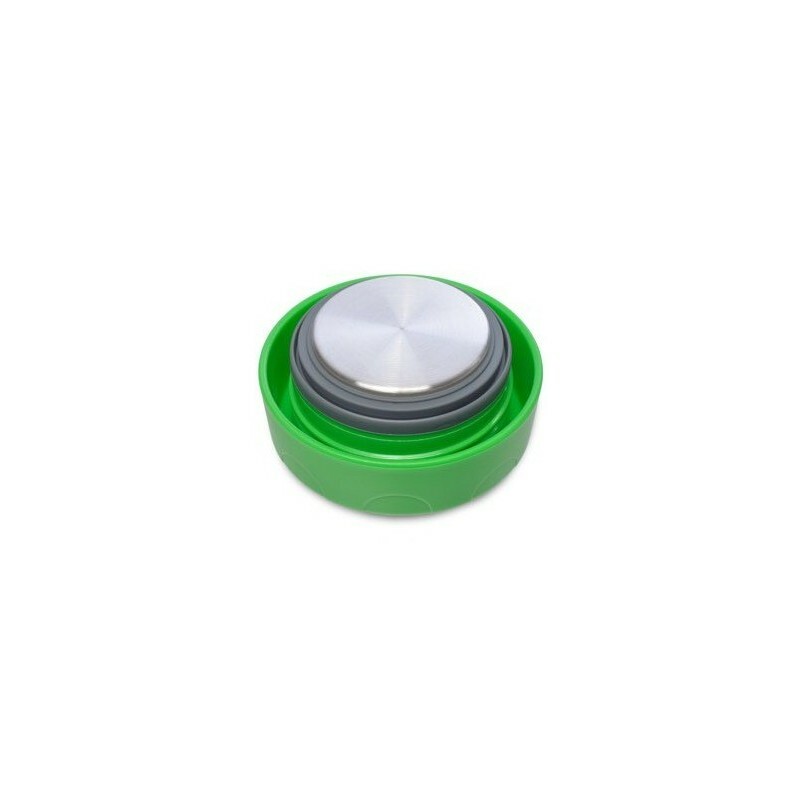 Leak-proof screw-top lid prevents spillage in transit. 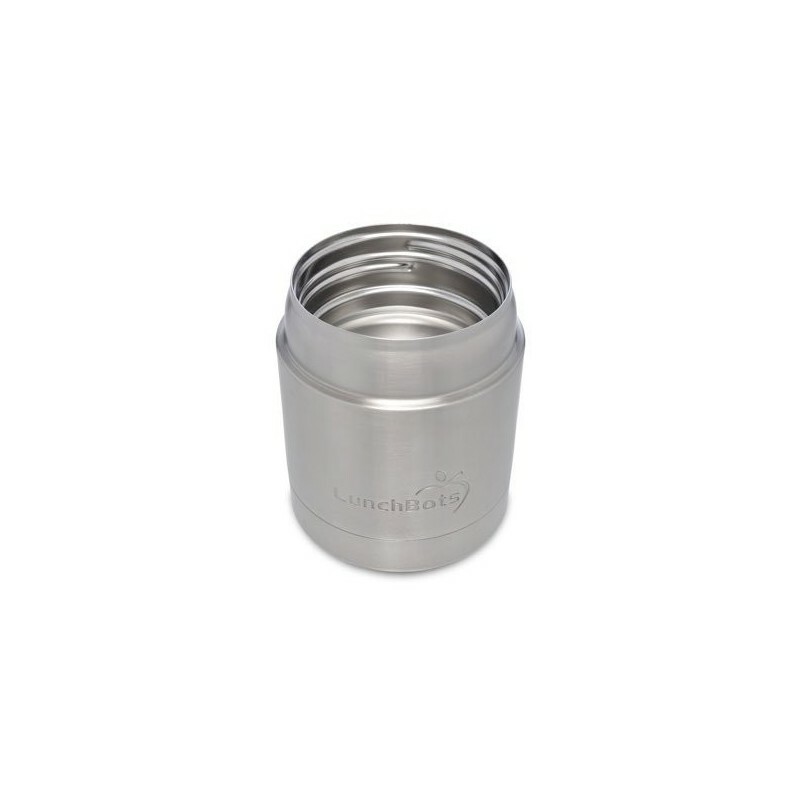 100% stainless steel interior (including lid) so your food never touches plastic. Dishwasher safe, not for use in the microwave. Keeps food hot for 6 hours, or cold for 12 hours. Pre-heat your thermal container to help keep your food warmer longer. To help keep your food warm longer, fill it to the top with boiling water for five minutes before filling it to warm the stainless steel so your hot food doesn't cool down as soon as you pour it into the bowl. Fill your LunchBots thermal with hot food. The hotter it is when you pack it, the hotter it’ll be at lunch. Keep it separately from cold items and store it someplace warm. Fill it up, a full container will keep food warmer than one with plenty of air space. 10.8cm high x 8.9cm wide. US company. Made responsibly in China. 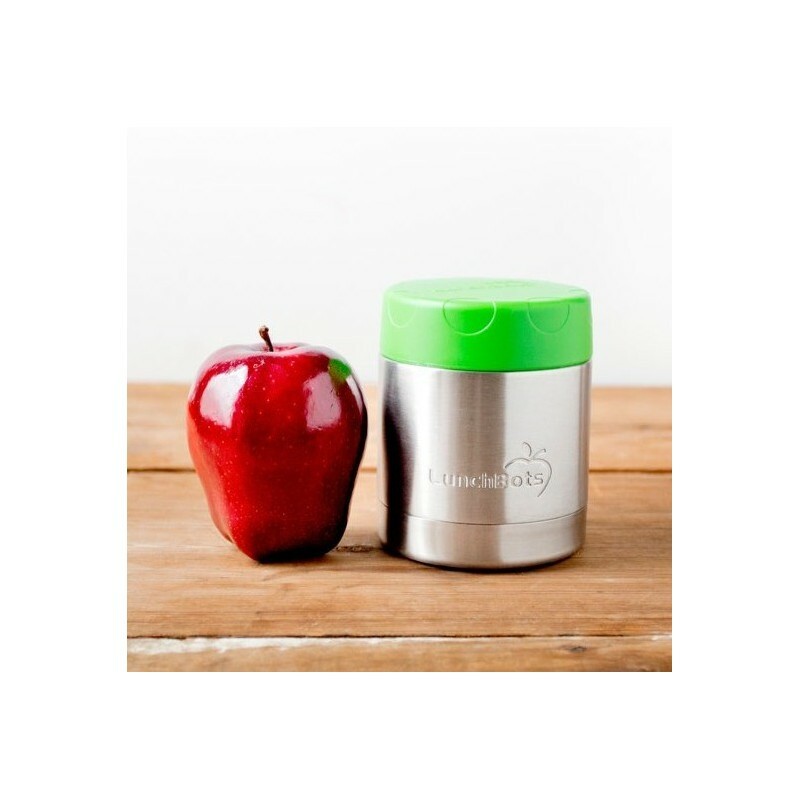 Perfect for school lunches, picnics, small quantities of food. Easy for little hands to open. A great addition to school lunches through winter.